SOLES ambassadors are graduate students who have been selected to serve as official student representatives. The SOLES Graduate Student Ambassador Program is designed to support Graduate School and field-level efforts to recruit diverse students. The goal of the Ambassador Program is to incorporate SOLES graduate students from diverse backgrounds into the recruitment process. Ambassadors support prospective and incoming students by assisting at graduate student events, providing campus tours, and interacting with students through email, online webinars, blog posts, and social media. Ambassadors also serve as liaisons between their departments and the SOLES Graduate Admissions and Outreach Office. Throughout the year, ambassadors write about campus events, research, experiences, organizations, and general graduate student life. If you enjoy meeting new people, sharing your experiences as a SOLES graduate student, and developing your leadership potential, we invite you to submit an application for the Graduate Student Ambassadors Program. Selected students will provide a service to prospective and current students; connecting people to the SOLES community. The application for the 2019-2020 Student Ambassador group is now available. 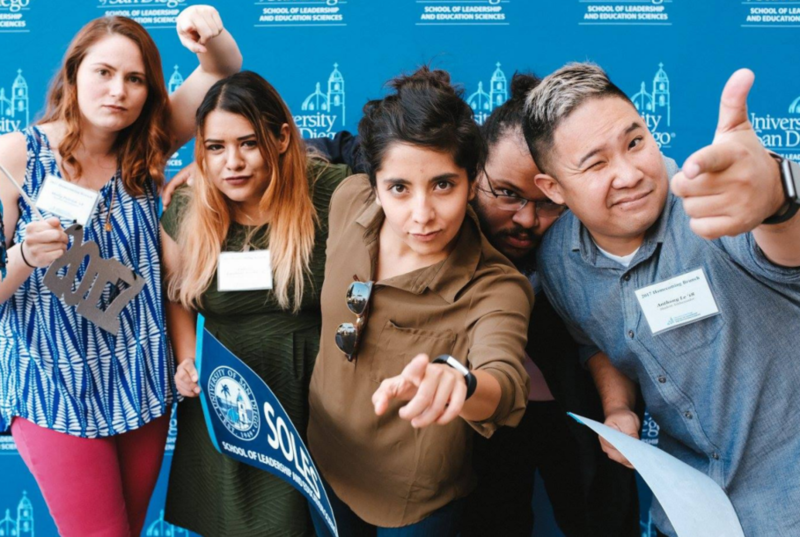 If you have further questions about the application process or SOLES Student Ambassadors program, please email spatino@sandiego.edu. If you are faculty or staff and it would be helpful for student ambassadors to volunteer for your event, you can submit an online request. Please allow at least two week's notice when requesting student leader volunteers.